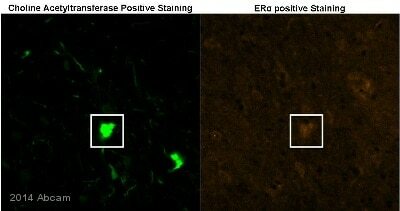 This affinity purified antibody identifies recombinant human estrogen receptor. Binding of antibody to estrogen receptor was blocked by excess free peptide containing ER sequences 582- 595, but not by an unrelated peptide. Storage below -20°C is not recommended. Our Abpromise guarantee covers the use of ab66102 in the following tested applications. WB Use a concentration of 2 µg/ml. Predicted molecular weight: 68 kDa. 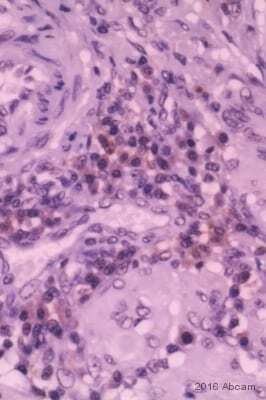 Overlay histogram showing MCF7 cells stained with ab66102 (red line). The cells were fixed with 80% methanol (5 min) and then permeabilized with 0.1% PBS-Tween for 20 min. The cells were then incubated in 1x PBS / 10% normal goat serum / 0.3M glycine to block non-specific protein-protein interactions followed by the antibody (ab66102, 0.1μg/1x106 cells) for 30 min at 22°C. 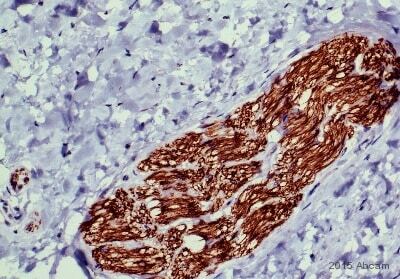 The secondary antibody used was Alexa Fluor® 488 goat anti-mouse IgG (H&L) (ab150113) at 1/2000 dilution for 30 min at 22°C. Isotype control antibody (black line) was mouse IgG1 [ICIGG1] (ab91353, 1μg/1x106 cells) used under the same conditions. Unlabelled sample (blue line) was also used as a control. Acquisition of >5,000 events were collected using a 20mW Argon ion laser (488nm) and 525/30 bandpass filter. 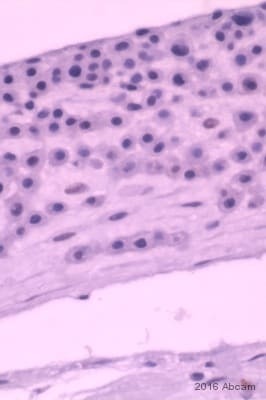 This antibody gave a positive signal in MCF7 cells fixed with 4% paraformaldehyde (10 min)/permeabilized with 0.1% PBS-Tween for 20 min used under the same conditions. 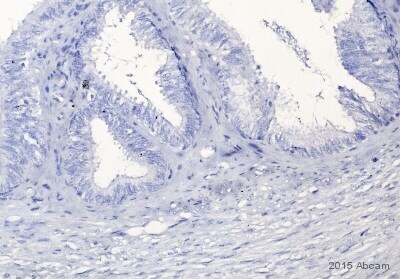 ChIP - Anti-Estrogen Receptor alpha antibody [C-542] - ChIP Grade (ab66102)This image is courtesy of an anonymous abreview. Cross-linking (X-chIP) analysis of human MCF7 nuclear cell lysate labeling Estrogen Receptor alpha with ab66102 at concentration 5 µg/µg chromatin. Formaldehyde was used as the cross-linking agent. Semiquantitative PCR used for detection. Cells were incubated for 16 hours at 4°C with chIP dilution buffer. 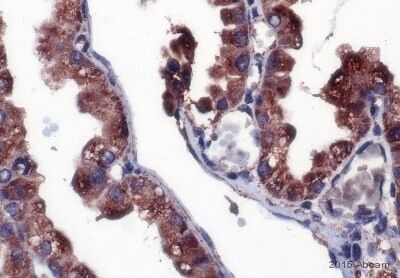 Western blot - Anti-Estrogen Receptor alpha antibody [C-542] - ChIP Grade (ab66102)This image is courtesy of an anonymous abreview. Blocking step: 5% milk for 1 hour at 37°C.